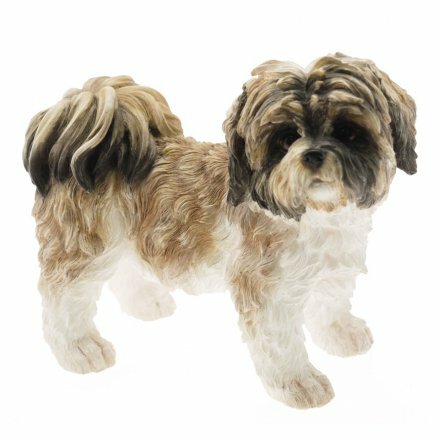 Shih Tzu Dog Small Leonardo dogs are solid resin figures finished to a high standard. All Leonardo dog figures come packaged within a lovely presented gift box. The Leonardo Collection is very popular due to the vast range of breeds and poses.